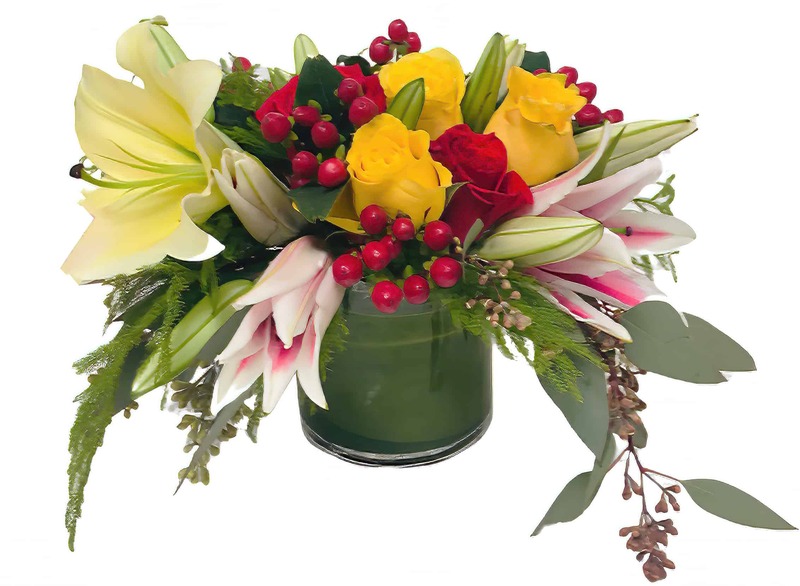 Show how much you truly care with this warm, rich colored arrangement of Lilies, Roses, Leucadendron, greens and more! It is sure to catch all eyes in the room with its deep burgundies and warm oranges nicely contrasted against a sea of green! Say Happy Birthday in style, give warm congratulations, or say Thank You like you've never done before with this beautiful mix of imported flowers!